Learning Target: I can use a story to show a perspective on an important issue. Third quarter in English we examined how Jeanne Wakatsuki uses her story to make arguments about race and freedom in the US in her memoir Farewell to Manzanar. Students also heard in person the story of Ms. Sally Sudo, who lived in an internment camp as a child. Finally, they went out and gathered stories to see the issues that are important to people in our community. Following the model of the Humans of New York blog, students went out into our community to collect a bit of a person’s story. 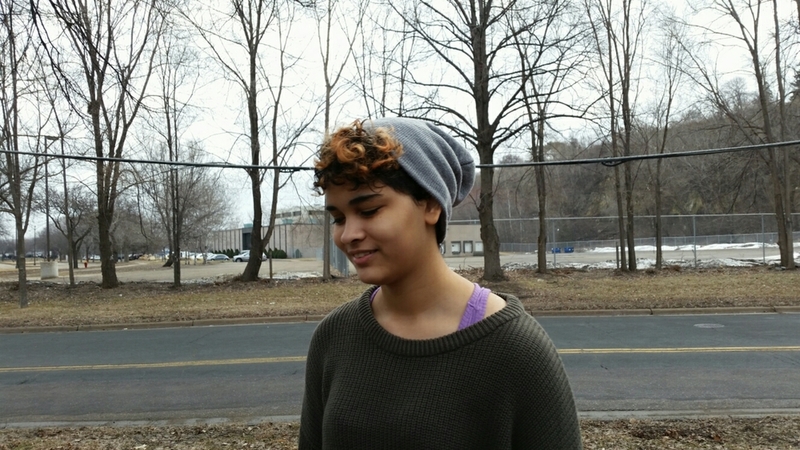 We spend a day of class interviewing and photographing portraits in our school’s West Side neighborhood, but some students took the initiative to interview others in the larger St. Paul community. Then students edited their transcripts to choose powerful quotes and put them together with the portraits that they took for the final product. Also included are portraits that students took of each other to practice photography skills.